When you are thinking about how to diet and lose weight fast, many people try crash/starvation dieting or over-exercising as a way of shedding those pounds quickly. Most attempts to diet and lose weight attempts last very long however. Typically, those on diets crash within about three weeks of starting their regime. They will have started with all the best intentions. As an experienced hypnotherapist, my ‘diet and lose weight’ hypnotherapy courses have helped many patients turn their failed plans into successful and long-term changes. Consult your GP when setting any goals to diet and lose weight to ensure that you are in good health to cope with these changes. This is a synopsis of where those hypnotherapy patients go wrong. When inflated plans to diet and lose weight collapse before they have really taken off, consider that severe changes can be too stressful for the mind and body to accommodate. A sudden, rapid drop in calories can leave you feeling lethargic, disrupting your day to day functioning. You can get away with infrequent snacking particularly if you want to squeeze into a dress for a special occasion for a short period. But once the occasion is over, if you haven’t planned this drastic drop in calories in advance, you are unlikely to keep this routine going for long enough without being malnourished and feeling lifeless. Planning what you will eat for that month before the special occasion could be enough to ensure that you diet and lose weight, and remain healthy during that period of routine change. Calorie count what you are eating. Aim for 500 calories less than your daily average per day to lose 1 pound per week. This is considered a healthy weight loss plan. Keep food varied in type and colour (fruit, vegetables, pulses etc) to ensure optimum health. Keep a watchful eye on those portion sizes – you’ll be surprised how quickly the calories add up. For my hypnotherapy patients who want to diet and lose weight and are seeking help late in the day, I help them to visualise a shrinking stomach combined with a feeling a fullness. I also use suggestions for a healthy diet and calorie count to maintain optimum health. I then use a follow-up hypnotherapy consultation after the “big day” to return any changes back to a sustainable level. Goals to diet and lose weight are doomed when the expectations are set too high. Typically, when I see my hypnotherapy patient in this “mode”, they want to imitate a celebrity who has boasted some weight loss figures, but ignores (or the report has not included) other essential issues. “They lost that weight, so can I…right NOW” is their desperate model of approach. Their urgency is so great that they will jump on the weighing scales after every meal and remove an extra item of clothing if there hasn’t been a positive change since the last weigh-in. Does this sound familiar? In many ways, being unrealistic accompanies the earlier point: the changes are too drastic. When your goals to diet and lose weight are this reckless, you will fail because the numbers on the scales direct your mood – weight has gone down and you feel on top of the world; weight has gone up and it’s time to throw the towel in. Unfortunately, no framework or method is considered in this model because the goal is the “method”. The scheme is too ambitious from the outset. In my ‘diet and lose weight’ hypnotherapy courses, patience and long-term lifestyle changes are built into the programme so that realistic changes can feel lived (habituated). Your mind is taken through the process repeatedly in the hypnotherapy consultation so that it feels as if your goals to diet and lose weight have already been achieved, rather than something you are trying to set up from scratch. Using this approach, realistic eating plans feel natural and achievable. A regime to diet and lose weight that is too strict, is likely to fail because the individual can feel deprived. Deprivation is a strong emotion that causes the patient to lose control of their eating patterns. When you ignore the importance of this issue, it can re-surface as bingeing. 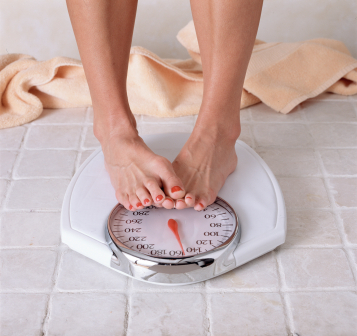 If this issue is at the centre of your over-eating and weight gain, hypnotherapy can help you in many ways. When I identify that there is a background of “control issues”, I use suggestions that reset the ‘diet and lose weight’ belief system. This helps you to be “easier on yourself”, allowing for the odd treat as part of the plan. Hypnotherapy will then be used to break this association that food is your reward or your escape. This helps release you from the deprivation and binge cycle. Where you are vulnerable to a particular negative emotion e.g. worthlessness, the treatment plan is focused on building your self esteem, confronting and treating the “cause” and “effects” of your negative rituals from many different levels. It can be tempting to skip meals as a conscious plan to diet and lose weight. When you have a hectic life, you may even justify it by saying that that there wasn’t time to eat. But the effect of skipping meals puts the body into “starvation” mode. In this state, the body slows down the key metabolic and digestive processes to conserve energy. 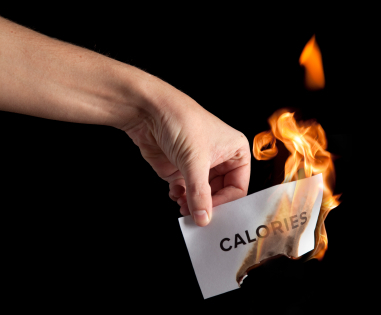 The next time you eat, the starvation mode causes you to burn fewer calories and thus hinders weight loss. Skipping meals can cause immediate health risks because there is a lack of available carbohydrates. Symptoms of dizziness can occur because the body is trying to maintain blood-glucose levels. You may even feel faint if you participate in any intensive physical activity. When you do eat, there is a surge of insulin to cope with meal that is usually calorie-laden. With pro-longed meal skipping, these persistent patterns could develop into diabetes. Another key feature of skipping meals is that intense feelings of hunger can take over at a later stage in the day, resulting in a food binge that still doesn’t give any feeling of satisfaction. When you have eaten, you still crave more food. Potentially, you are condensing the calories from two or more meals into one and still feel like you could eat some more food. So your total intake of calories may be the same, but just eaten later in the day and in one sitting. Keep eating regularly to maintain your metabolic rate and optimum health via nutrition from your food. When your eating patterns are rehearsed in this way, you will find that the meals are effortlessly eaten on a regular basis. When making a change in your life, your priorities also need to be re-evaluated. In my ‘diet and lose weight’ hypnotherapy consultation, suggestions are used for optimum health to ensure that you make time to eat and eat regularly. Other wider issues can be called lifestyle issues. One lifestyle issue is the subject of exercise. Before participating in any form of physical activity or exercise, check with your GP that you have no medical conditions that could contra-indicate the exercise. Most people can participate in some form of moderate, low impact activity e.g. brisk walking. When considering the equation: eating fewer calories + burning more calories = weight loss, what calories you put into your body is certainly the bigger part of the equation and for many, the easiest part to control. The 500 fewer calories from your diet is roughly equivalent to 90 minutes of walking throughout your day. This may seem like a mountain, but is easily achieved with short walks, domestic work, gardening etc. So keep moving as a way of helping the second part of the equation, but be realistic about the part exercise plays in weight loss alone. There is only so much exercise you can do before other parts of your life become neglected. There are so many other health benefits from exercising e.g. reduction in affects of stress, boosting levels of serotonin to lift depression and lowering the potential for developing Type 2 diabetes etc. When you are exercising, you can find that you deal with life in a more positive way. Exercise can have indirect emotional benefits to your diet and lose weight strategies such as helping you to feel more determined. It can help to build mental stamina. Sleep is another lifestyle issue important for total health and well-being. When you are suffering with insomnia and regularly have less than six hours sleep, the production of certain hormones can be disrupted, changing your appetite awareness. When you lack sleep, leptin levels are suppressed which means you don’t feel as satisfied after you eat a meal. Ghrelin levels are also increased which means your appetite is stimulated, increasing your drive to eat more food. In my ‘diet and lose weight’ hypnotherapy consultations, wider lifestyle issues are discussed to ensure that you are aware of what “unknowns” could be affecting your ability to diet and lose weight. Any additional issues are treated so that you remain focused on the most essential features to diet and lose weight. “Knowing” what is required to diet and lose weight is very different from being “emotionally focused” on achieving those goals. Stress and emotional issues connected with food and eating patterns can lead someone down a very different path from their intentions. If these issues aren’t dealt with in a way that helps you to release these emotional connections, they will cause you to give in early. In my ‘diet and lose weight’ hypnotherapy courses, your treatment is personalised so that your motivation and emotional obstacles are taken into account. When it feels like eating food is a reaction to some underlying issue, a more thorough treatment plan like hypnotherapy is needed to help you diet and lose weight. There are so many benefits from hypnotherapy, it can be used to initiate your diet and lose weight plans and support you through a special occasion such as a wedding. More information on weight loss tips 1 and weight loss tips 2.